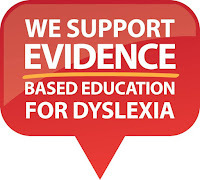 In my volunteer work in dyslexia advocacy I have met so many amazing, dedicated and driven women. Not only have all of them done countless selfless things for children and families across Australia they have also always been there for my own personal journey with my daughter. I am not sure where I would be or where my daughter would be without any of them. In the end I chose the most inspirational women who has been on the roller coaster with me for 4 years, Victoria, my daughter’s tutor and my friend. Victoria is an inspiration to many through her tutoring and her advocacy work. She helped me from the early days of Dyslexia NSW support group and remains committed to providing support and advice to countless families. Victoria was the creative brains behind My Red letter. She says that her greatest qualification as a tutor is that she is dyslexic herself and therefore understands the struggles these children face. Victoria spent her school days colouring in daisy wheels and didn’t read at all till year 5. Due to shear determination and despite many setbacks, she graduated from Cambridge, no less than, with a Masters in Education and psychology. How do I even start to express myself in words how she has helped me personally? How can I possibly convey the gratitude I have for the person who gave me hope at a time when both my daughter and I were broken? How do can I even begin to portray the amount of work she has put in to teach my daughter how to read? When we met Victoria at the beginning of year 3, my daughter had just completed 6 months of therapy for anxiety. Her anxiety was so extreme the psychologist did not even know if there were underlying learning difficulties. Going to school she would feel sick and would scream and bang and yell when she came home. She would fling books across the room. She was a timid child who would break down in tears whenever any school work was suggested. She was years behind. Her spelling was assessed at less than that of a 5 year old! Victoria not only taught her to read, write and spell! 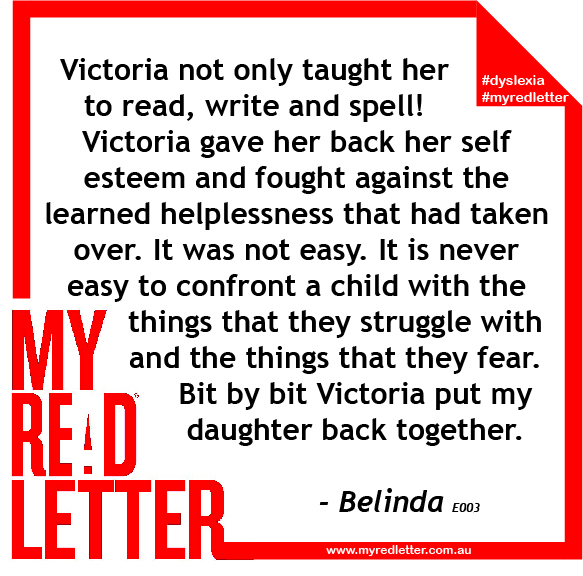 Victoria gave her back her self esteem and fought against the learned helplessness that had taken over. It was not easy. It is never easy to confront a child with the things that they struggle with and the things that they fear. Bit by bit Victoria put my daughter back together. My daughter is finishing year 6 as a confident child who walks tall. She still struggles with some things. She has dyslexia, dysgraphia and dyscalculia! 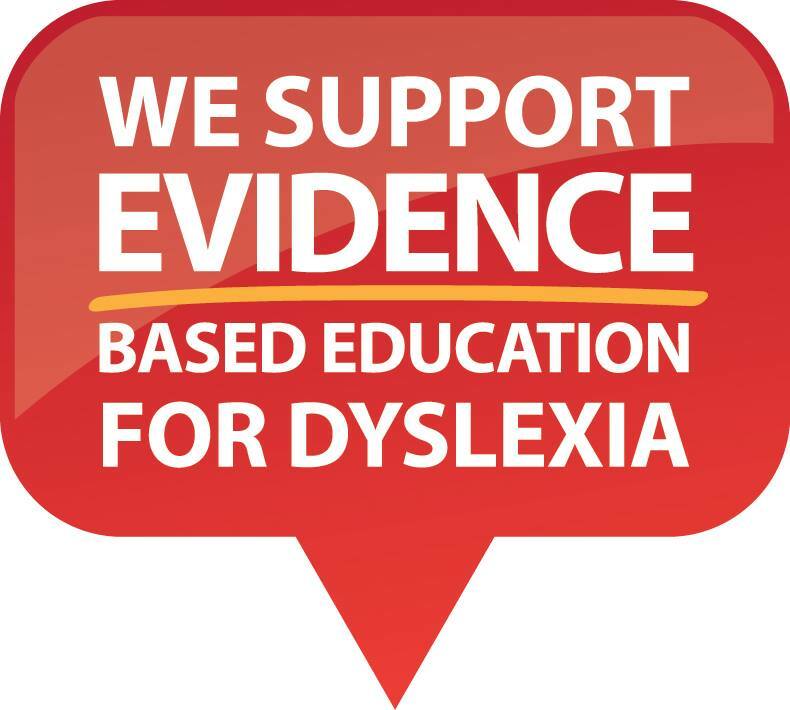 But she says being dyslexic is awesome and she faces challenges with determination. Recently Victoria could not contain her excitement when my daughter showed her 2000 words of a novel she has been writing in the holidays. My daughter’s face beamed with pride. I am teary just remembering the look on her face. I really could have never imagined we could have gotten this far! My daughter said that she didn't think it was possible for Victoria to be even more excited than she usually is! Victoria’s enthusiasm is always heartfelt as she works so hard with her students to get them to succeed. They may at times give up on themselves but she never gives up on them. She fights to her last breath to give them the best possible outcome. When my daughter is not writing her book she is reading. She reads before school, after school and at bedtime. She has always loved books but relied on others to read them. She has an amazing imagination and extensive vocabulary. Her bed has books piled high and tucked under her pillow. Victoria gave her the most wonderful gift of the ability to read. It was a long time before the fear of reading disappeared and the love of books won. In the holidays she read 1 1/2 Percy Jackson novels. The same sort of books her friends are reading. My daughter says that books open up doors to new worlds. Victoria gave her the magic key! Over the years Victoria and I have forged a firm friendship based on our mutual struggles and passion for helping children and families touched by dyslexia. I am constantly in awe of her expertise, knowledge and energy. Thank you Victoria from the bottom of my heart for giving me back my lovely girl….now I have made myself cry! Wow, that is such an amazing and moving letter.